I had wanted to start a fitness regime for quite a while but did not have the confidence as I felt unfit & self conscious about my body shape & size but I desperately wanted to get fit & healthy & hopefully lose some weight. Since starting 365Motivate Personal Training Sessions I feel so much healthier. 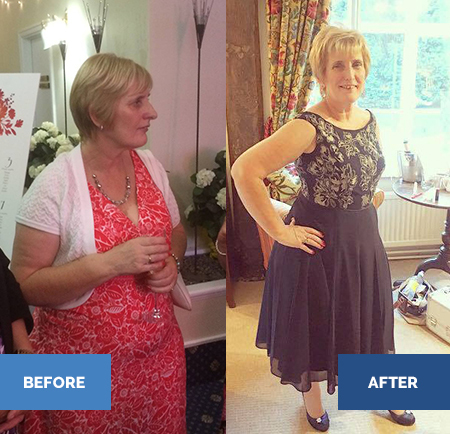 I have changed shape & lost a stone in weight. I can now run up the stairs at work without getting breathless, lift heavy weights & have so much more strength than before, I feel much happier with myself. Since joining Bootcamp I have gradually started to feel less worried about my body shape & even wore tighter gym leggings as apposed to my usual baggy ones. I feel so much healthier and a lot less stressed out. It has given me so much confidence; I now even go to a beautician & have some treatments that I would have previously been too embarrassed about doing. I enjoy both my 365Motivate Bootcamp sessions & Personal Training sessions. I now also do Partner Personal Training sessions with my sister, which is great fun. The workouts are always challenging but manageable – I love when I really push myself because I come away from the session on a real high. I would definitely recommend 365 to others, everybody is super friendly & encourages each other & Lucy is a great Personal Trainer and Bootcamp instructor. She explains everything really well so that you are clear about what you are doing and there is also pressure – you do things at your pace & ability & what you feel comfortable with.